Create a streamlined, action-oriented environment for automating compliance, while empowering teams to get to security. CyberStrong helps organizations improve resiliency while rapidly driving business value, using greater intelligence for faster insights, leading to smarter decisions and meaningful action. CyberStrong’s Compliance Management capabilities help you eliminate unnecessary manual effort, continuously improve your compliance posture and easily stay ahead of the accelerating pace of regulatory change. Experience rapid implementation and immediate ROI while building a future-proofed cybersecurity program that offers a language for cybersecurity that anyone can understand. The result? A more efficient process, increased productivity and a shared plan of action for a stronger, more scalable cyber program. 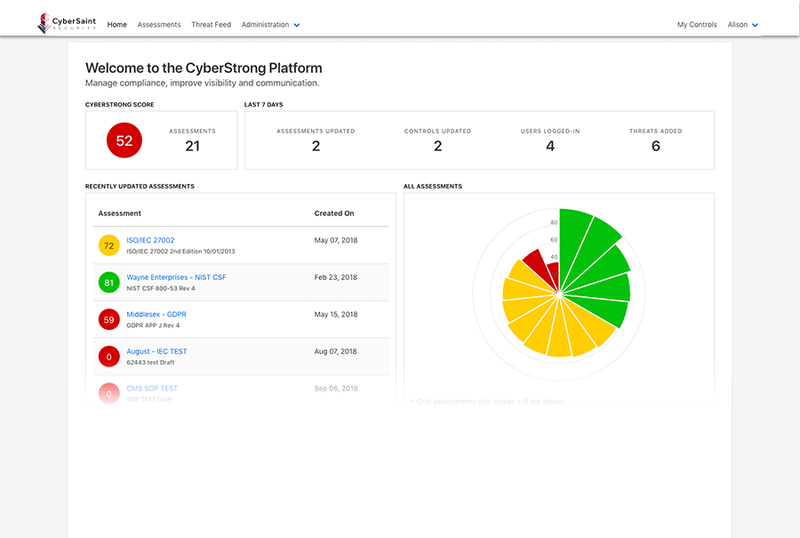 The CyberStrong platform helps security leaders standardize a risk-aware culture and cyber best practices, policies, procedures, reporting, and business impact analyses across Vendor Risk Management and IT Risk Management areas. With the united goal of building a strong foundation for business growth in a rapidly evolving threat landscape, standardizing how the business adheres to cyber best practices and stays risk-aware is critical. CyberStrong empowers supply chain managers and C-level executives stay organized and aware of existing and potential risks that come with business growth and change. CyberStrong is a platform designed for collaboration between assessors, auditors, IT teams, CISOs and non-security leaders. Its Audit Management capabilities let compliance and risk teams track progress against a shared plan during and after an assessment, and help both internal and external auditors measure, manage, and view documented compliance and risk status and evidence. Audit-ready reports, visualization of individual assessments, as well as an organization-wide rollup view enable auditors to quickly and credibly assess the organization’s posture and give actionable advice to mitigate risk. 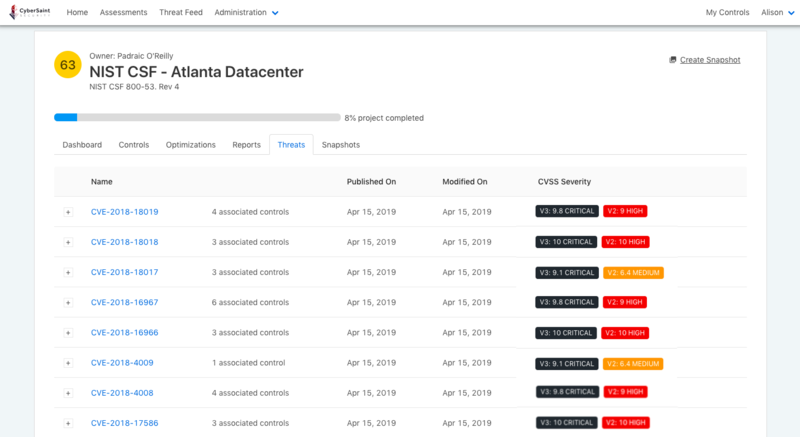 The CyberStrong Platform empowers teams to automate the manual aspects of Digital Risk Management and Vendor Risk Management data gathering, visualization and reporting while providing an expansive view of cybersecurity risk across the organization. 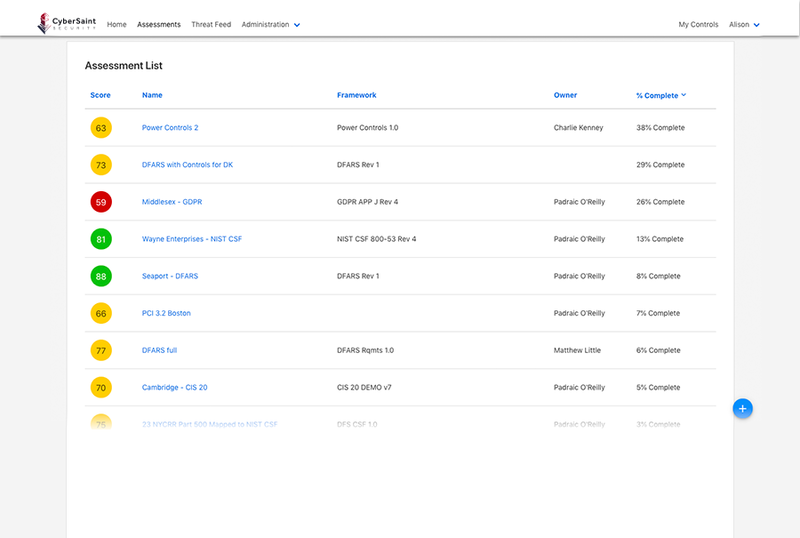 Easily manage compliance and risk across all physical, digital or third party assets with custom questionnaires. 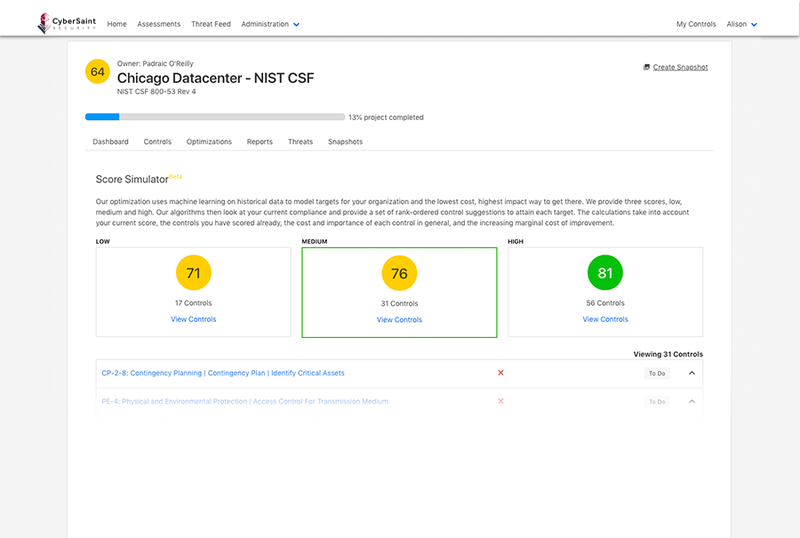 CyberStrong suggests steps to close gaps based on a patented, real-time threat feed that keeps both your team and your vendors on high alert. "CyberStrong gave us visibility into processes and activities that we hadn’t really had before." "CyberStrong provides me with a means to effectively measure and communicate our overall compliance posture, AI to model my security investments for the best ROI, and information on risk exposure using an industry standard model paired with innovative technology." "CyberStrong provides an easy-to-use platform for us to maintain our compliance with the new DoD DFARS regulation. 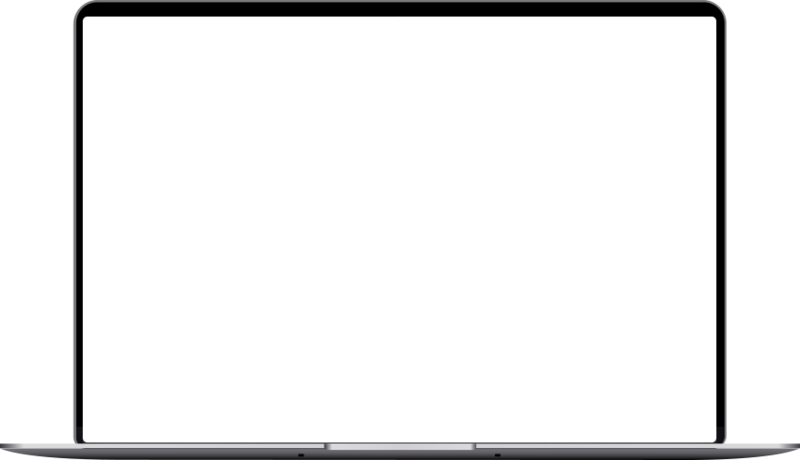 The team from CyberSaint got us up and running very quickly and now we manage our DoD compliance on our own." "We chose CyberStrong to help our clients elevate their cybersecurity posture through simplicity and automation for risk and compliance. As a services provider performing assessments across highly regulated industries, choosing a risk management platform that fulfilled our needs - reducing complexity, price, time to value, reports - was key for us." 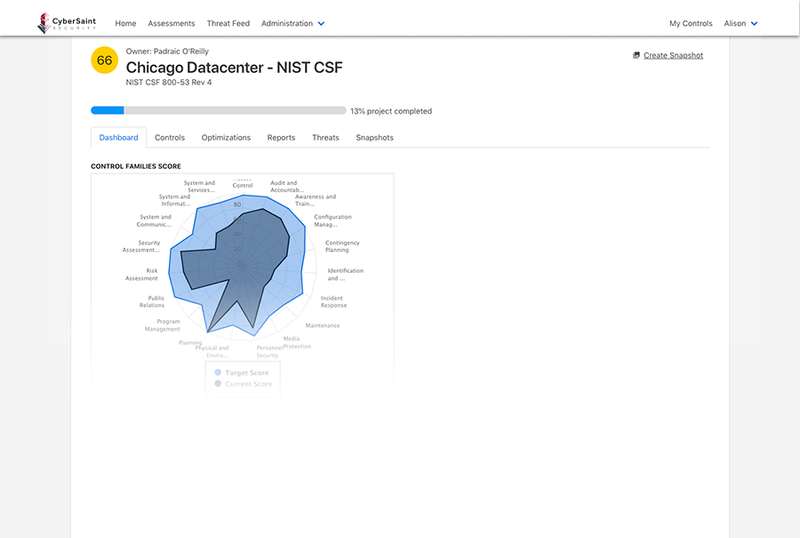 Share your cybersecurity posture that is backed by data and easy for anyone to instantly understand with custom dashboards and on-demand access to the most important reports. Generate key reports for executive teams, boards, auditors, for greater transparency and access to what matters most. Learning About Integrated Risk Management? Shift from static GRC to automated IRM in hours.